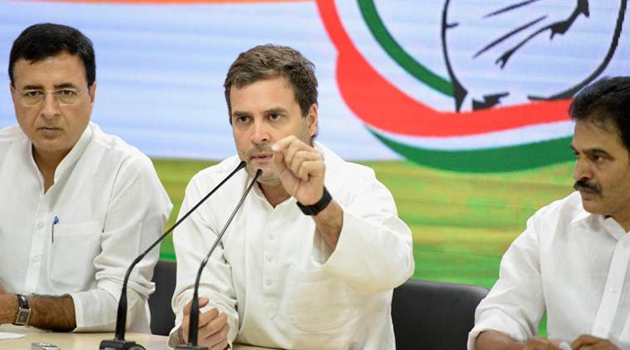 Rahul Gandhi announced minimum income guarantee scheme called Nyuntam Aay Yojana (NYAY) ahead of the 2019 Polls. Rs 6,000 per Month or Rs 72,000 per Year will be transferred to the bank account of 50 million families. This scheme could cost the government Rs 3.6 lakh crore, which is 13 percent of the Union Budget. Rahul Gandhi described Nyuntam Aay Yojana as a final assault on poverty citing Rs 72,000 will be transferred directly to 20 percent poorest of poor families. He told the agenda behind the scheme is to ensure basic income of every poor family doesn't fall below Rs 12,000 per month. Congress estimates Nyuntam Aay Yojana would benefit 5 crore families and 25 crore people. Can this scheme be a game changer for the National Party?